A small island of Dodecanese, Leros is located between Patmos and Kalymnos. In fact, holidays in Leros can be easily combined with trips to Patmos, Kalymnos and Lipsi. According to mythology, Leros island was where goddess Artemis would go for hunting, as it had a rich population in deer. The long history of Leros Greece is depicted in the many sights around the island, such as the Medieval Castle and the interesting museums. Alinda and Agia Marina are the most tourist places on the island, while a drive around the island will bring visitors to relaxing, crystal beaches. Over the last years, the island is developing as a diving destination due to the many ancient shipwrecks that have been found in the surrounding sea. Leros is a destination that has not suffered from the consequences of mass tourism yet. It is situated near Patmos, while to the south is separated by a relatively narrow sea passage to Kalymnos. Characteristic features of the island are the small hills and the countless creeks. The biggest one is called Lakki, which was the safest harbor in the Italian occupation period. Other major bays are Alinda, Vromolithos, Partheni, Blefouti and Panteli. Leros took its name from the ancient word "leros", which means flat-smooth. It is considered to be a rocky island with small, flat areas scattered among the high grounds. The island’s coastal areas present intense sculpturing and secure bays are formed throughout. 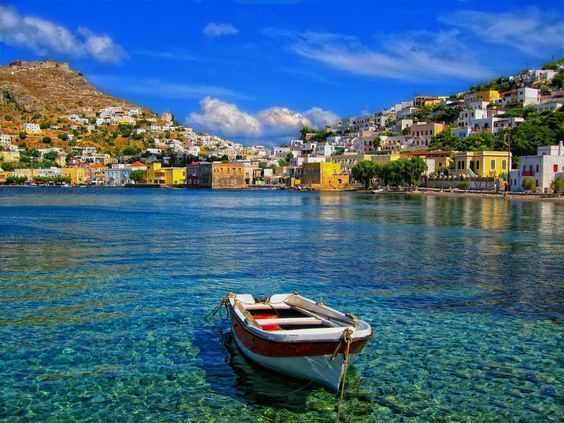 Leros is a paradise endowed with vast green areas and beautiful beaches.